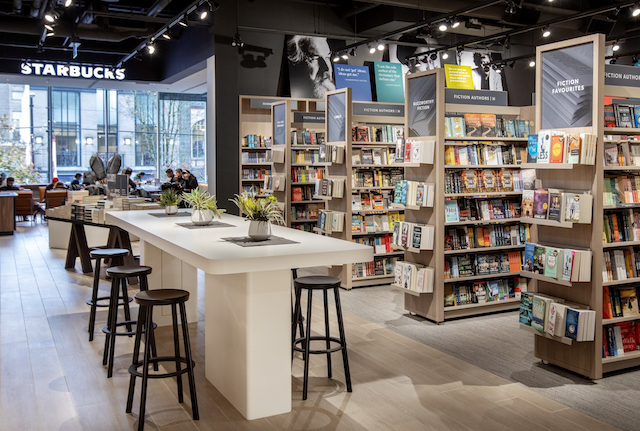 This month is the grand opening of Indigo’s new flagship store in Vancouver. Located at 1033 Robson, the two-level, 29,000 square foot location marks the company’s return to the globally renowned shopping district. Indigo Robson is organized in a shop within a shop concept, including Books, Wellness, Joy of the Table, A Room of Her Own, Home Beautiful, IndigoKids and IndigoBaby. 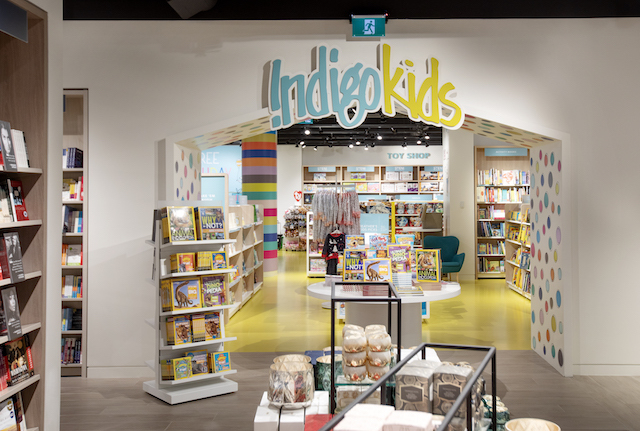 With books at the heart and soul of Indigo, the Vancouver flagship will have over 58,000 unique book titles. Customers can also access an unlimited selection online through in-store kiosks, including online exclusive items which offer free shipping of all items to store with no minimum spend, plus free returns. In addition, the Robson Street store also has a Starbucks café. 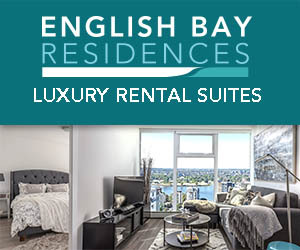 The store features a Vancouver a photography installation by celebrated Canadian photographer Edward Burtynsky. Known for capturing evocative landscapes, Burtynsky’s installation showcases the stunning ancient forests in Avatar Grove, Pacheedaht First Nation Territory, near Port Renfrew in British Columbia. Indigo and Edward Burtynsky are committing $25,000 each to the Ancient Forest Alliance, a non-profit organization working to protect BC’s endangered old-growth forests and ensure a sustainable, second-growth forest industry. Indigo will also be supporting the local community through the Indigo Love of Reading Foundation, an organization that is dedicated to putting books in the hands of Canadian children. 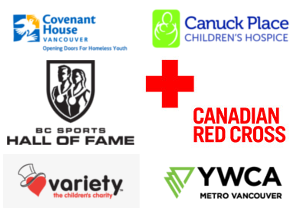 Since inception, the Indigo Love of Reading Foundation has provided over $29 million to high-needs elementary schools across Canada, with $3.5 million to British Columbian schools. I will draw one winner at random from all entries at 11:00am on Saturday, November 17, 2018. 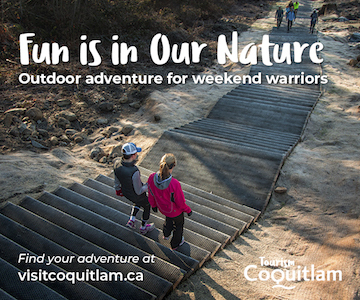 Follow Indigo, Chapters and Coles on Facebook, Instagram, and Twitter for more info. Update The winner is Erin! I would love to win the gift card! As a teacher I always need books for the kids. I would love to win this gift card! I have 28 little kids in the childminding program I’m in and this would be a big help for giving them each a book for Christmas from Santa! Thanks for this awesome giveaway Miss604! I love chapters/indigo. It’s a one stop shop for all my gifts! Can’t wait to see this store. I’m so happy Chapters/Indigo has returned to Robson Street, looking forward to browsing/buying books on my “to be read” list again. Would love to get the gift card to get more books for my kids! I love chapters for buying gifts anytime of the year but especially at Christmas! I follow you and chapters on instagram as @carschick. I’d love an opportunity to go book shopping! Followed and tweeted……..thanks for the chance. Love Chapters! A happy place for me! I popped in the other day. Good to have a well-stocked bookshop in the downtown core again. Just in time for Christmas shopping! I went there the other day and it is gorgeous! Officially my new happy place. Just in time for Christmas shopping!! Love Chapters! Cannot wait to check out the new store and start my Christmas shopping! The store is great. Wonderful gifts and a great view from Starbucks. Chapters Indigo is a great place to shop! Can’t have enough book in your life! I haven’t had a chance to see the new store yet but am really excited! It’s a gorgeous store with fabulous products! I would love to win an indigo gift card. I have a list of new books that I want to purchase and read. Nothing better than a good ne book….strolling on Robsonstrasse. We find ourselves escaping to many places through books! It be nice for we have book addiction in my house. I love shopping at Indigo. I would love to win this gift card!Thanks so much for this fantastic contest! 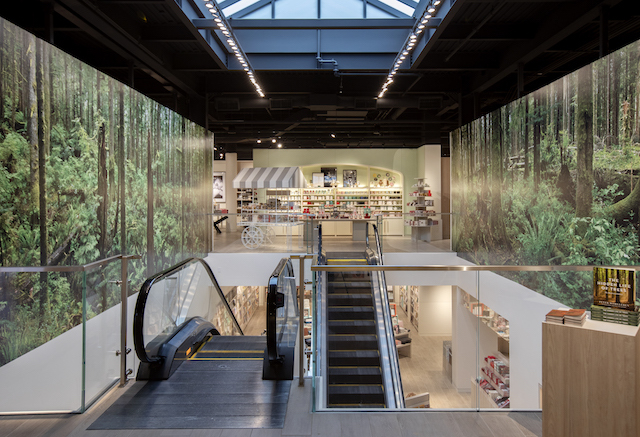 The Robson store looks amazing! Oh I have so many fond memories of spending hours and hours at the old Robson location! Wonderful prize thank you! I would love to win – can never have too many books! I’d love to win a gift certificate, thanks! Would love to win this.Thanks for the chance. Follow both on instagram and tweeted. The store looks amazing, I can’t wait to visit it! Teacher here! Always need books! I’m so glad we’re getting a bigger bookstore in vancouver. I was at a loss when the old location on Robson shut down years ago. Now I finally have an excuse to kill time wandering around a big store surrounded with books when I’m in the city. The new store looks beautiful! Wow this would help with Xmas gifts. Good luck all. I would love to win this. I would give it to my daughter who just got her first teaching job!! It would help with the cost of starting up a classroom. Thanks for the chance! 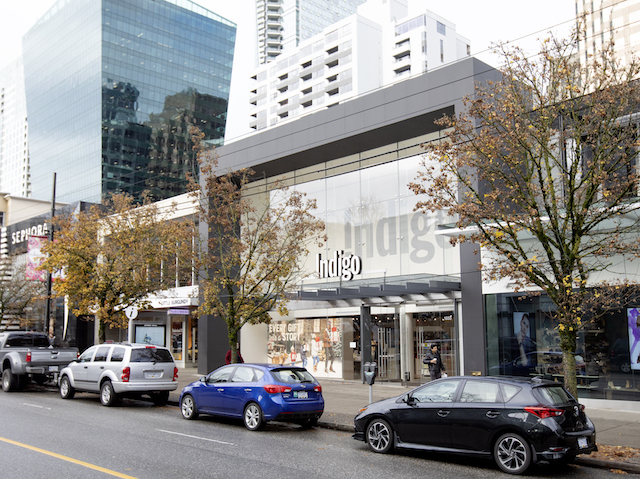 I am excited to check out the new Indigo on Robson! So many great gift ideas for the holidays. I’d give this to my daughter and make a date out of it. She reminds me of Belle with always having a book in her hands. We were so sad when Chapters closed in our area.There is something about a bookstore and all the adventures that lay within. This would make the little ones day! We ♥️ chapters! There’s no such thing as too many books and magazines! I love that they are working with a NPO to help protect old growth forests! Would love to win an Indigo gc — books always welcome in our household! Great to have them back downtown. Can’t wait to check out the new storefront…and perfect prize for this time of year. Books – one of the few things it might be ok to hoard. This place look fantastic. Thanks! Can’t wait to check out the Robson store. Chapters/indigo at Metropolis is amazing and want to explore Robson. Two floors! Can do some great xmas shopping here! I’m so glad they’ve gone back to a bigger location. I love Chapters and so do my kids. Indigo our go to place for books! Love Indigo! Great gifts too. Can’t wait to check it out! I love shopping at Chapters in store and online! I’ll give this as a gift to a wonderful person with love. I have Christmas ideas that the new Indigo will help with a great deal! The new Indigo store looks amazing!! I can’t wait to check it out! I would be thrilled to win a gift card. I’m a student so this would help me a lot. Great having Indigo downtown again! We just went in yesterday and loved the store! Perfect timing for all the shopping I need to do for Christmas. 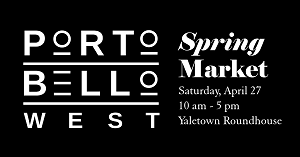 I am thrilled to hear about this new location at Robson. Will visit soon . Indigo is always great. Yes please. I love shopping at Chapters. I just celebrated my birthday on the 8th. Hope I win so I can gift myself a nice book or two. Just celebrated my birthday on the 8th. Hope I win so I can gift myself a nice book or two. Would love to win this! I’m so excited the store is finally open! Can’t wait to visit the new store! Robson St hasn’t been the same since their old location closed down. I’d love a $50 gift card to celebrate their grand re-opening! The new store looks beautiful! I can’t wait to check it out! I love chapters indigo. Whenever I go,I end up spending at least an hour browsing! I’d love to buy some great Christmas presents at the bookstore! Time to head down to Robson!! My favourite store! Can’t wait. I’m so excited to check this location out! so glad they reopened on robson! It’s always fun to browse/shop at Indigo. This would help out with my Christmas shopping! Love Indigo/Chapters. I would take my niece with me so we could check it out together. Awesome contest! Reading is my anchor to sanity. Give the gift card to one of the teachers for their students. Glad to see they are back in town! My family was really sad when the old location closed. So happy to see that they have another location downtown. I’m pleased to see Indigo-Chapters has returned Downtown. It was a sad day when the old Chapters closed. I love shopping at Indigo! So excited to see the shiny new Chapters! This would be a great prize with Christmas coming. Glad they were able to find a new location! I’ve liked both on IG. I love chapters!! So excited to have one downtown again! This Chapters/Indigo flagship store really reinvented the shopping experience. The layout is very relaxing . Very excited to check it out! Great start to my Christmas shopping! Very excited to check this place out! I’m so happy we have a flagship store downtown again! This would be great to win before Christmas ! So excited about this new store! I have my list of must-reads ready ! Chapters has great holiday decor and you can’t go wrong with a book as a present! So excited to check out this new store! Would love to win the gift card and pick up some items for Xmas gifts. $50 would come in handy for the winter season! I would love it if I could win. I love the smell of books. Can’t really get the same feeling reading it on a tablet. We’d love to take our children to the kid’s section! It looks great. Will split between my little niece and nephew. They ❤️ to read! Cool thanks for the info and the contest! I’m so excited to visit this new store location! ❤ shopping at Indigo Chapters! Love the new location! Looking forward to losing myself in many great books in the years to come! Thank you for pointing this out. I’ll make a visit soon–hopefully with a gift card to spend. So happy to see them back on Robson !!!!!! 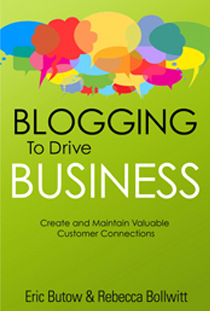 Would love to win the gift card to purchase more books! I love Indigo and can easily spend hours in the store. Thanks for the giveaway! This location looks beautiful! It gives me another reason to visit downtown, and having the gift card would give me the freedom to grab a hardcover book for once, instead of going for an e-book since it’s cheaper. Fingers crossed! Great to hear that the new store is finally opened! Can’t wait to check it out! It’s fantastic that the downtown core has a large bookstore again! I am glad to see Indigo returning to Robson! Can’t wait to check it out. Just bought a bunch of books from Indigo – wouldn’t hurt to get a few more for the nephews! I will be bringing the kids here for sure to browse and pick up some books for their winter break. Thank you for sharing the pictures! Perfect timing for a holiday season ! Following both on IG. Thank you. Can’t wait to check out this location! YES so excited about this!! Chpters/Indigo is back on Robson. It was always a great place to meet friends before movies on Granville Street. I love Indigo thank you for the chance! Great prize – so many good books to check out! Perfect store for Christmas gift shopping! I’m a teacher and this would be a great prize to use for new children’s books. Thanks for the chance! Would love to check out the new store ! I would love to win this and check out the new store! Love to get lost in the new Indigo…with my nose in and out of the books…in a happy state of bliss! Would love to win and get something for the holidays! Would love to check this new space out! Love Chapters especially at Christmas time! This would be great to win. Thank you so much for this contest. I still love paper copy books and Indigo! thanks for the chance. Chapters is my favourite store. Wow! In love with how this store is set up! w00t w00t! This would be great! The kids always love new books! I think I could stay there all day. I never seem to be able to leave without buying something! Thanks for the chance to win this amazing contest! I love Indigo Chapters! Crossing my fingers! BOOKS make the best gifts…. My niece loves to read. Every year for Christmas, I take her shopping at Chapters Indigo. I love buying Benefit Cosmetics from the Indigo website! The photography installation looks cool. Will have to check it out in person. I wish there was an indigo in my town, but am thankful for the online store! Christmas pressies from Indigo – perfect!!! Chapters is my favorite store; what could be a better gift than a book?! My kids love reading and Indigo is always the place that we go! Chapters has so many great things in store, would love this. I love all the great gift ideas that Chapters has, especially this time of year. This would help whittle down my Indigo wishlist. Indigo is one of my favourite stores. I love books and it is also a great place to buy gifts! Thanks for the awesome giveaway! I am a follower and I tweeted 🙂 Happy Holidays! I’d love to win. I do use the library an awful lot, but Indigo has so many interesting titles that never appear on library shelves. This would male a great gift for my nephews and niece! I would love to buy something fun for my son! So happy that there’s a big Indigo downtown again. I love their baby stuff and home decor….and books. Love chapters! Thanks for the chance to win! I’m looking forward to shopping in the new store. That’s great that Indigo is opening the new store. Nice prize! I love Indigo. Would love to choose some new books! Indigo is the best for Christmas gifts. Fingers crossed. SO glad to see they reopened downtown. Love browsing (& buying) in Indigo. I’d love to visit this Iñdigo and pick up something for my daughter. Great store! So glad it’s on Robson now! Thanks for the opportunity to win this gift card! Would love to win this leading up to gift buying time. Read on people! Read on. Books make the best presents. Thanks for the chance to win. I still have to check out the Indigo Robson store. Since my nephew asked for books for Christmas, I’ll be shopping for his present! So happy Chapters/Indigo has returned to Robson Street! I would love this gift card for my mother-in-law. Indigo is my go-to for gift shopping! Wow…I’m an avid reader. I would love to win a gift card…here’s hoping! How exciting to have a bookstore opening instead of closing. Would love to win. Indigo is my happy place! Books are one things that it’s hard to have too many of! Once upon a time…hopefully this story ends with winning a contest. They had the toy we were looking for ! Yahoo!